Marion County was formed in 1785. It was originally known as Liberty County. 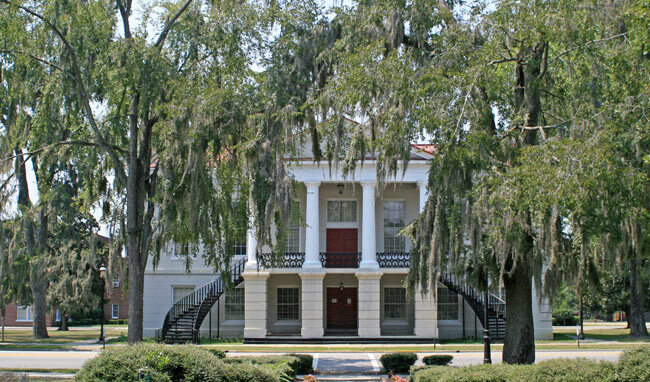 However, four years later, it was renamed Marion County, in honor of Brigadier General Francis Marion, the famous "Swamp Fox" and a hero of the American Revolutionary War. Marion County is a great place to live, work, and play. The county’s slogan says, “It’s Just Right”. It is rich in history and natural beauty. With its rivers, hunting opportunities, and historical sites, Marion County provides a wonderful opportunity for future residents. Mild winters allow for year-round recreation and outdoor activities. It also offers great opportunities for new industrial development with available infrastructure and land, good workforce, educational facilities, and transportation passages. 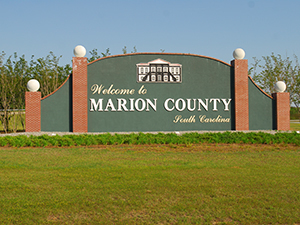 Being just an hour from the famous Myrtle Beach, if you are looking for more of a small, hometown feel, Marion County would be an ideal fit. Also, keep in mind, being that it is an hour from the beach, homes are very affordable and lower priced than the Grand Strand area. 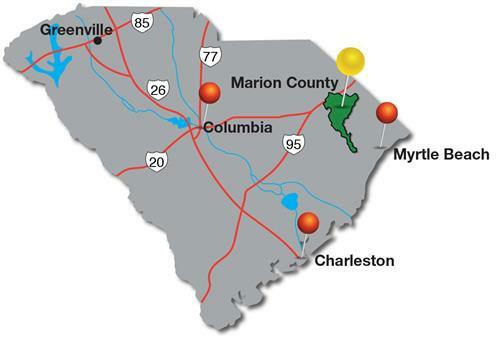 For more information on Marion County and a free Relocation Guide, please contact this County's expert, Vanessa Jackson, at (843) 582-8417 or by email Vanessa@SCRealEstateNetwork.com. Listing courtesy of CB Chicora Advantage CF , Pat O'Neill. Listing courtesy of Transcendent Real Estate Group , Mack Bryant. Listing courtesy of Carolina Realty & Associates , DuRant Martin. Listing courtesy of RE/MAX Professionals , Daniel Broach. Listing courtesy of RE/MAX Professionals , Adam Crosson. Listing courtesy of Century 21 The Harrelson Group , Shane Price. Listing courtesy of Core 1st Realty Group , BethAndSammie.com Team.